All about the things you can poke, plug, fry, and fix. REV Robotics modules use connectors from Japan Solderless Terminals (JST) Manufacturing Co. 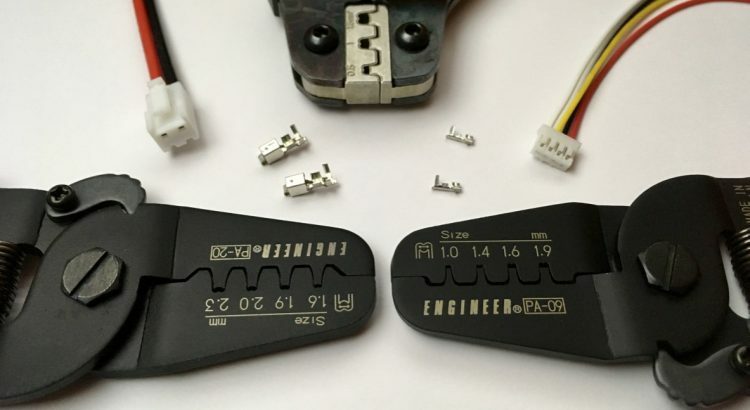 This article provides an overview of the JST connectors as well as recommendation for manually crimping their contacts. The REV Robotics Expansion Hub is legal for the 2017-2018 FTC season. It's an impressive piece of hardware that brings some important changes. A video tutorial on using the REV Robotics linear slide kit. This video was recommended by Barry Bonzack. A video tutorial on using the 80/20 framing system as a linear slide. This video was recommended by Barry Bonzack. You might experience problems with the white USB A-to-Mini-B cables from Modern Robotics. For these and many other cables, I recommend purchasing from Monoprice.